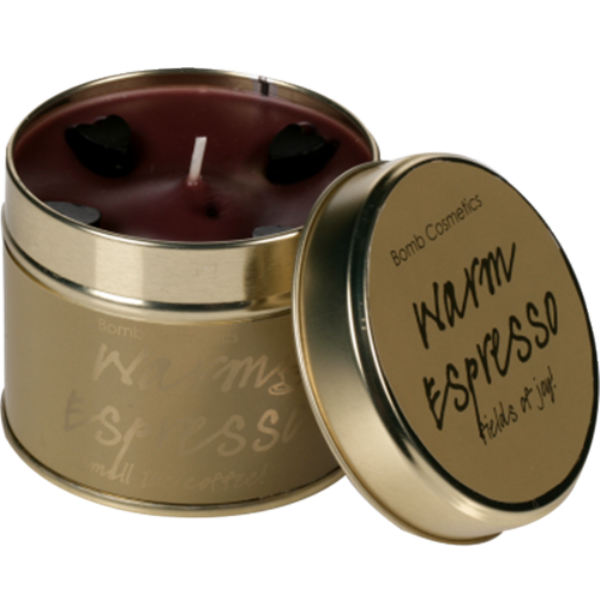 If you like coffee this divine candle will be right up your street! It is blended with quality black pepper and vetivert essential oils to create this deliciously edible fragrance of rich espresso, mixed with notes of sweet caramel and chocolate. If the aroma of coffee is your thing then this is the candle for you. It is blended with quality black pepper and essential oils to create this wonderful fragrance of rich espresso, mixed with notes of sweet caramel and chocolate. This fantastic candle will provide you with many hours of burning time to enjoy the delicious coffee aroma. When the candle is lit, place the candle tin on a heat resistant surface and ensure the candle is kept away from any flammable materials. It is dangerous to move the candle whilst its alight or whilst the wax is molten. Keep out of reach of children and pets. Do not leave a burning candle unattended. This candle is suitable for vegans.